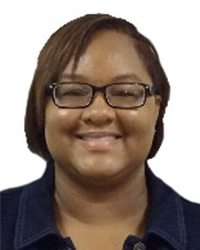 Dr. Keisa Boykin joined the University of St. Augustine for Health Sciences Occupational Therapy department in August 2017. Prior to joining the university, she worked as an occupational therapist in the home health setting. She has also worked in academia as a program director and instructor. She has worked clinically as a rehab director in skilled nursing and home health settings. She is a member of the Florida Occupational Therapy Association and the American Occupational Therapy Association. She formally served as a regional representative for the Florida OT Association. Dr. Boykin volunteers regularly for Jack and Jill of America, Orlando Chapter Executive Board. She is a member of the National Association for Mental Illness, Orlando chapter. She is engaged in her community as a member and mentor. Dr. Boykin is engaged in research with an emphasis on the benefit of occupational therapy intervention with the mental health population.